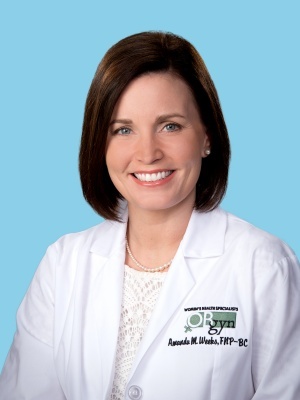 Amanda is a native of Bruce, Mississippi and earned her Bachelor of Science, Nursing and her Advanced Practice Registered Nurse degrees at Mississippi University for Women. She is board certified by the ANCC as a Family Nurse Practioner. Since 2006, she has experience in women’s health including preventative care, family planning and perinatal care. Her emphasis is on the optimal health care maintenance and illness prevention in women with a special interest in gynecology. She joined OBGYN Associates in 2015. She is married and has two wonderful daughters.